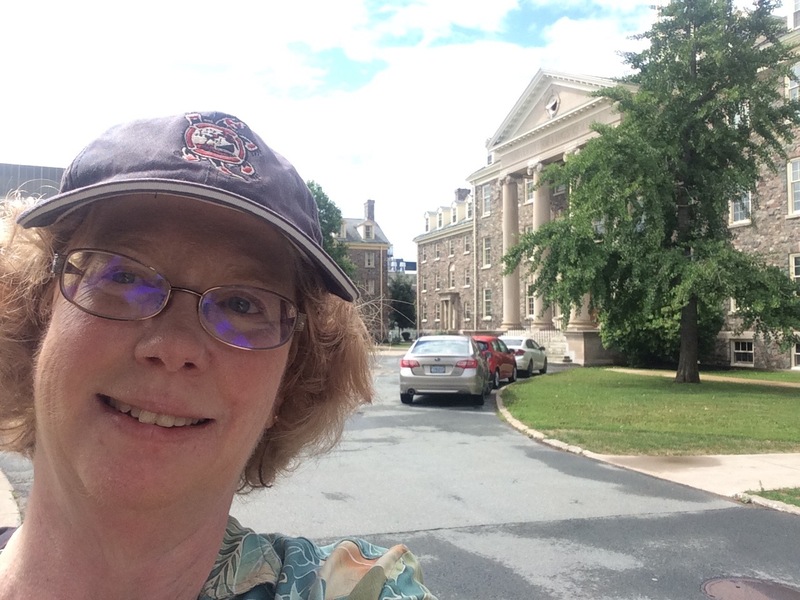 “True Stories Well Told” is taking a micro-break while I pursue my Big MFA Adventure at University of King’s College, on the Dalhousie Campus in Halifax, NS, CA. 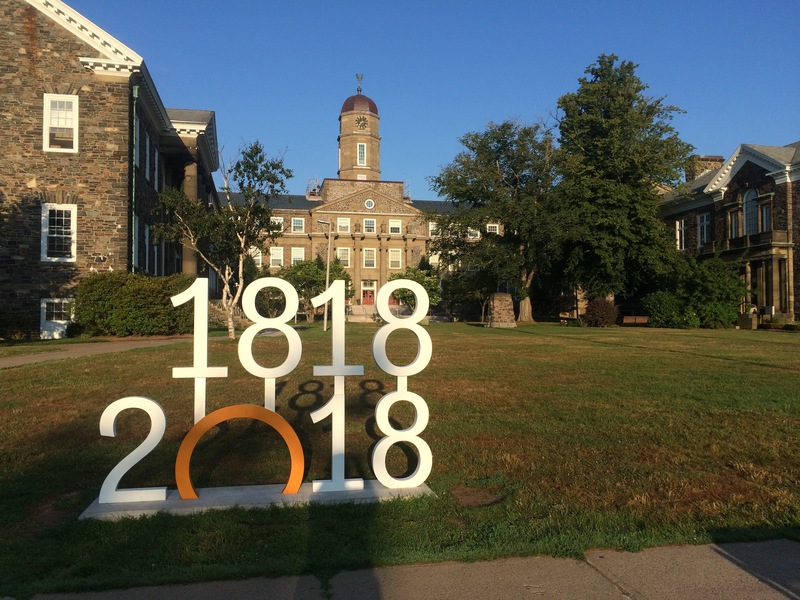 Dalhousie is celebrating its Bicentennial, while U-King’s is even older–est. 1789, to be exact. It’s marvelous to feel affiliated with such a proud educational heritage. Here are a few scenes from around campus… Enjoy! The U-King’s main building, my dorm wing in the left wing, just visible at the center of the picture, 2nd floor. The Dalhousie main building. The “Dal” campus wraps around the U-King’s quadrangle. This little alley leads to the classroom building where we meet, center rear. Dorms to either side–that’s “Radical Bay” to the left, and “The North Pole” to the right, where I live. The names are ironic–“Radical” because that’s where the seminary students lived, “North Pole” because it was closest to the boiler room. 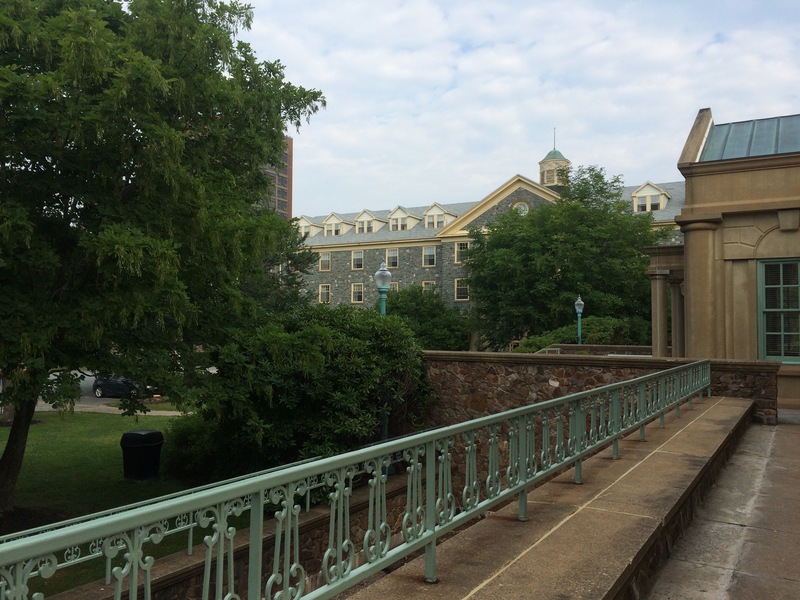 View from the library’s plaza toward Alexandra Hall, where I stayed last year. 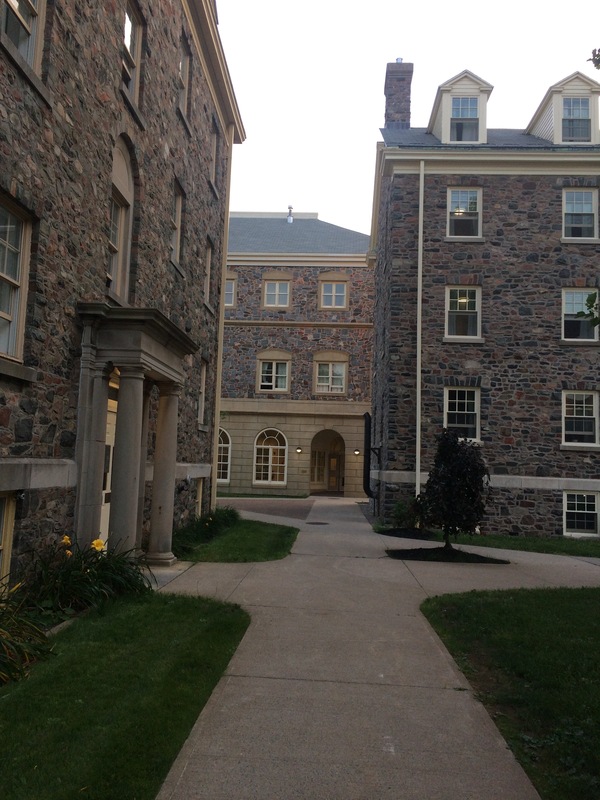 Voted one of Canada’s 10 most beautiful dorms, don’t be fooled by appearances. And a classroom scene. We’ve moved from the usual theater-style lecture hall to the cafeteria to catch some air conditioning.